is rainy with frequent laughter and recurring shennanigans. Hotlead 2017 is starting tomorrow! There is a good line up of games and a pretty full dealer area. Next week I shall post an AAR with pictures of course. It wasn't a particularly big bridge. A single, narrow span. Barely wide enough for a small cart or the pack horses that most merchants used. But the mountain stream it crossed was swift, steep sided and rocky. 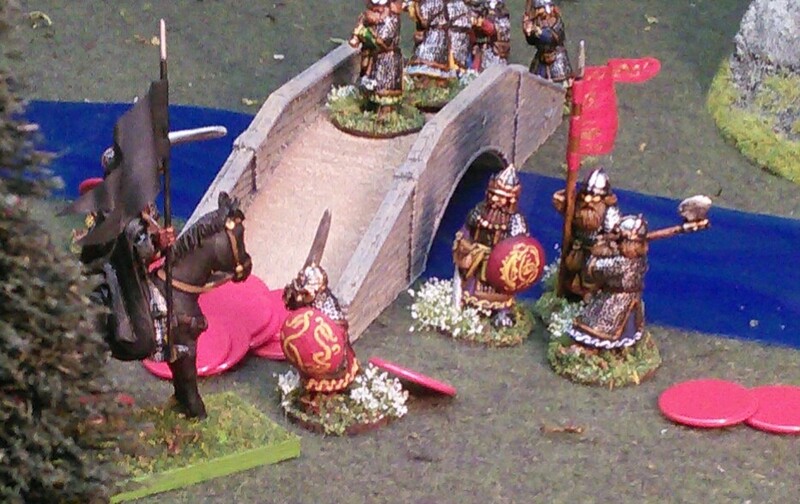 If the Witch King wanted to push his armies further south, he'd need that bridge to supply them. There was only one thing wrong with the bridge. There was a dwarf standing in the middle of it. Baldor, son of Fundin, son of Nîm, stood calmly in the middle of the narrow single arch bridge, hands folded comfortably on the pommel of his great two handed sword, smoking his pipe. It was a nice little bridge. The stone work was well done and had stood against snow and flood for centuries. He'd seen bigger and more elaborate bridges in his travels to Gondor, but the quiet confidence of the workmanship appealed to him. It was also a good position to hold against vastly superior numbers. He just hoped that the King came up to support him soon. He'd already seen some orc scouts and could hear the harsh blare of their horns beyond the trees. Soon they'd be upon him. Initial deployment. Angmar on the left. Dwarves on the right. Baldor is on the bridge. 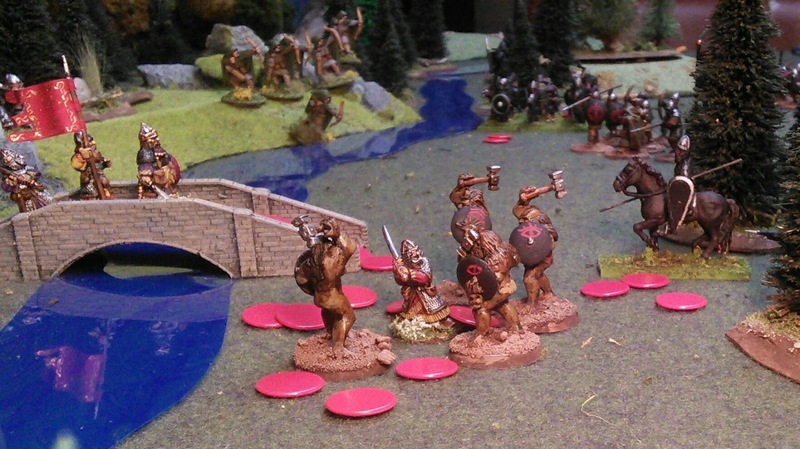 Morithol, the Dark Helmet, cursed the sniveling orc scout and deployed his army. 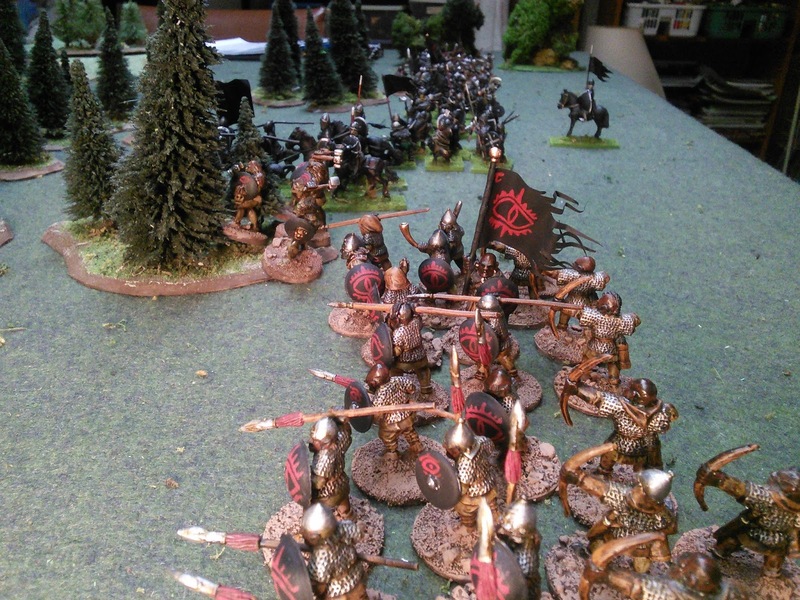 Men in the center, orcs on the flanks. He'd rush the bridge with his squadron of horse and if necessary support them with armoured foot and trolls. But it was always hard to get trolls moving and speed was important. 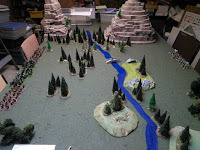 He needed to cross the bridge and fortify a camp for the next stage in the campaign. He pointed his black lance southwards. "Forward!" Baldor tapped out his pipe on the wall of the bridge and tucked it carefully into his belt pouch. As a troop of black armoured Men from Carn Dûm cantered up the path to the bridge, a black banner flapping at their head, he put on his helmet. It was a fine helmet, decorated with fire breathing dragons, and made for him by a friend. "You shall not pass!" He bellowed in the Common Tongue. The men just laughed and broke into a gallop. "Well, you had your chance," he said to himself as he hefted his sword. The bridge was narrow, throwing the riders into confusion as they jostled each other to get at him. The lead rider got free of the press and came at him, spear couched like he was trying to spit a boar. Baldor knocked the spear tip aside and as the rider passed him, with the return stroke sliced through the thigh and the side of the horse bringing both down in screaming bloody ruin. Using the carcass to hamper the horsemen as they tried to get at him, Baldor swung viciously. Each stroke leaving a spray of blood and bringing another foe down. 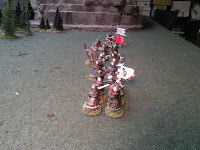 A thrown spear hit him in the side, but it didn't penetrate his linked mail. He climbed over a dead horse to cleave it's trapped rider in two. The last rider broke off, riding back to the forest. Baldor rested behind the heaped up dead or dying horses and riders. 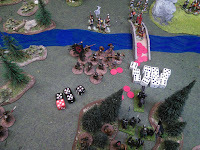 A company of black clad foot emerged from the path and prepared to attack. Behind him he could hear the deep melodious war horns of the approaching dwarf host. " 'bout time. Thought I'd have to kill them all myself." 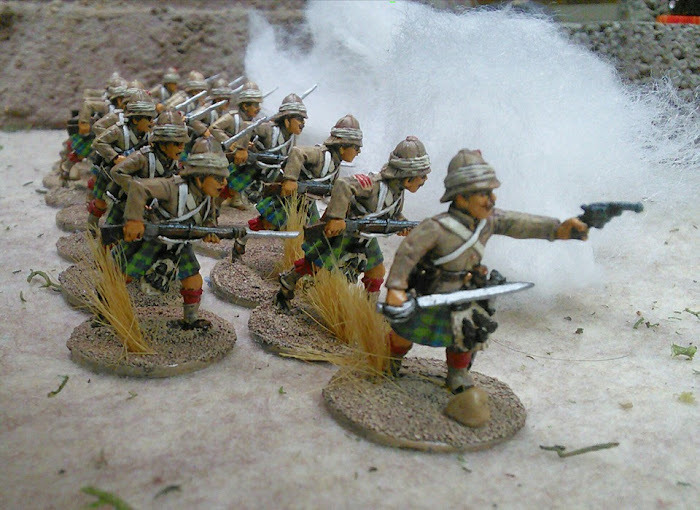 With a shout the men charged forward. 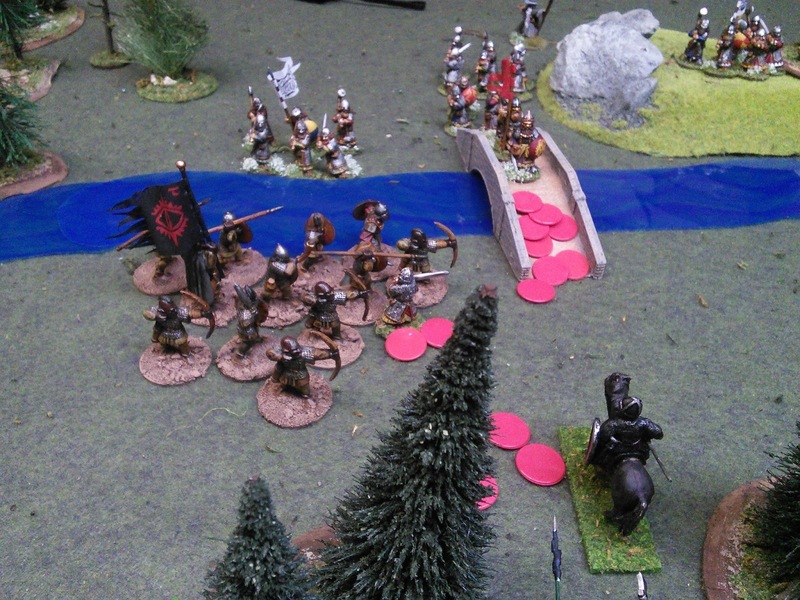 When they got to the bridge and the ruin of the cavalry they lost their footing in pools of blood and tripping over corpses. Baldor's great sword again started swinging in mighty arcs, splintering spears, shattering shields. Helmets cracked open and the steel blade smoked with blood. 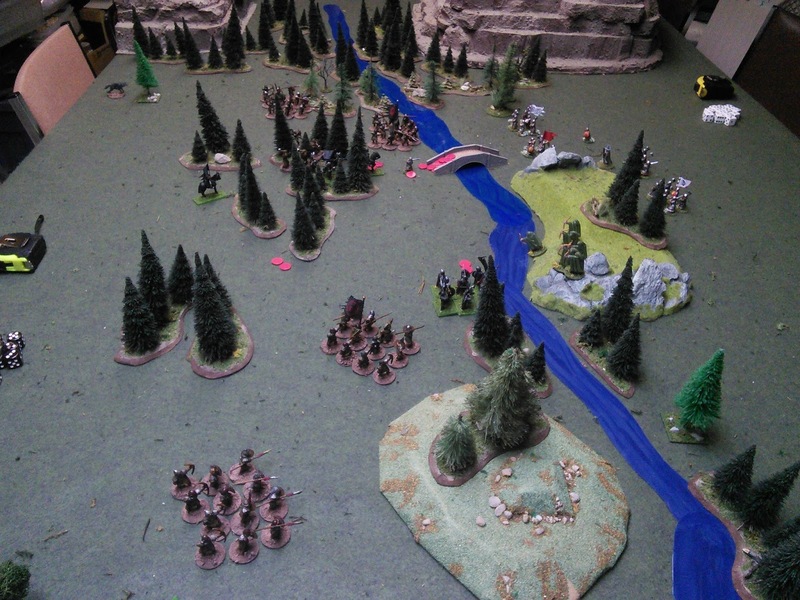 Seeing the first ranks fall, the rest withdrew back to the woods. 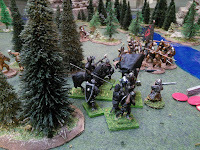 Orcs were now coming up on his right and Baldor didn't want to be swarmed by their black feathered arrows. He made his way through the bodies towards the enemy. "Barak Khazad!" he roared and charged into their midst. The best defense is a good offense. Baldor charges into the men. 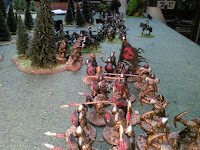 The advance in battle array was going slowly. Durin, the Sixth of that name, took his own company straight for the bridge. 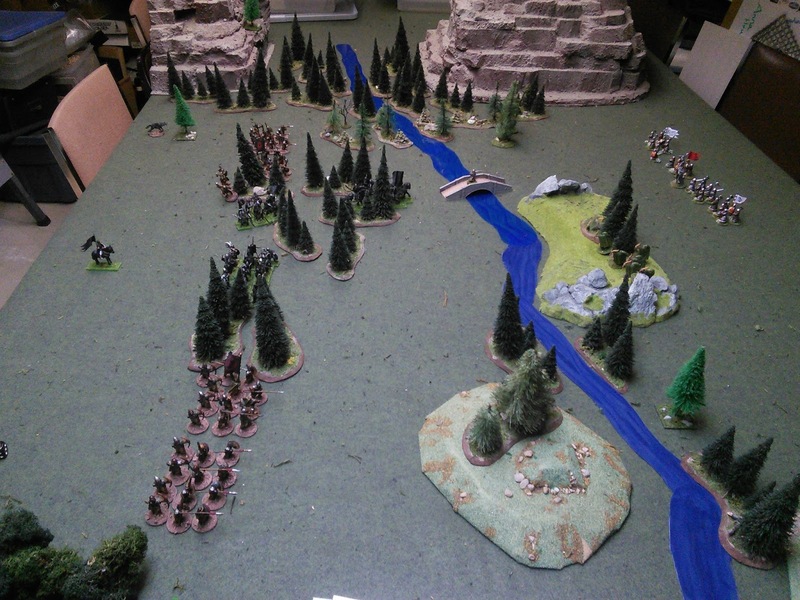 Another company was to take position on each side to stop the orcs from crossing. 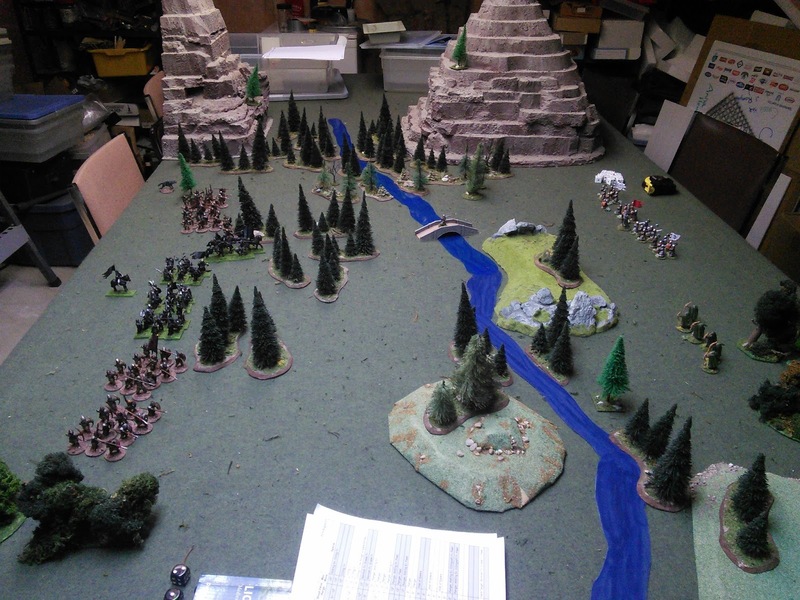 His fourth company marched steadily towards the hill to support the Elven scouts who were contesting the stream. Morithol cursed again. Two attacks on the bridge had been driven driven ​back in bloody ruin. 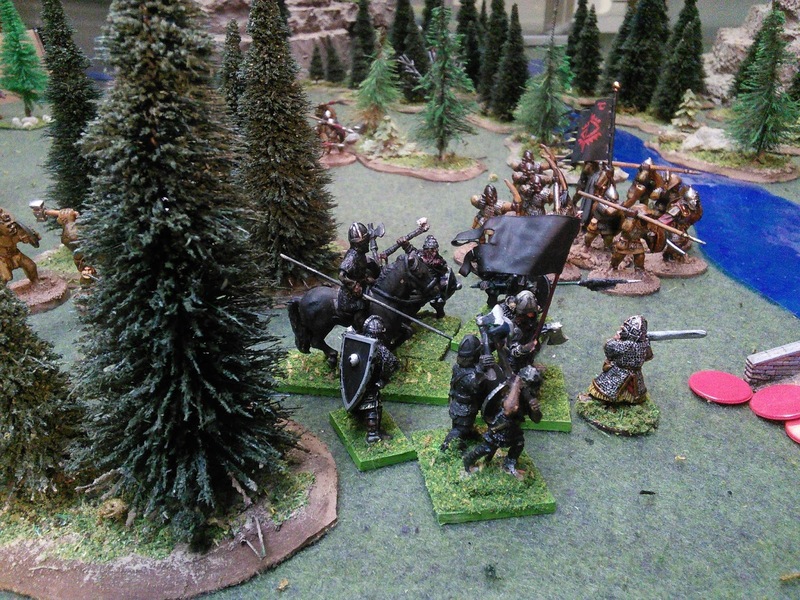 To his right a company of men ran away in panic from a few elf arrows. They disappeared into the woods before he could cut a few down to rally the rest. And that damn werewolf hadn't done a thing. Eating all that meat just to lurk around in the trees and watch. Baldor knew he was in a bad situation. 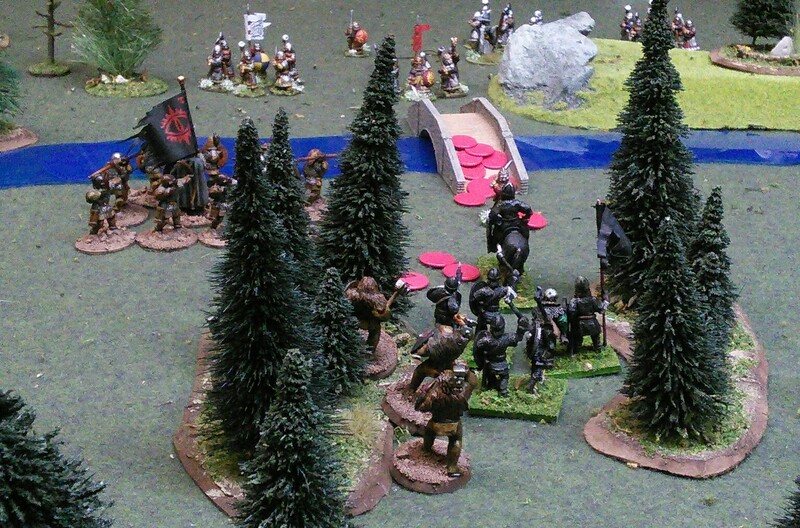 The men had retired in good order onto the remains of their cavalry. A shrieked order was answered by harsh horn calls and he could see companies of orcs marching up on his left to add to the company on his right that now started peppering him with arrows. A few found rents in his armour, but a feeling of lightness overcame him as Gandalf was now close enough to start exerting his magics across the stream. 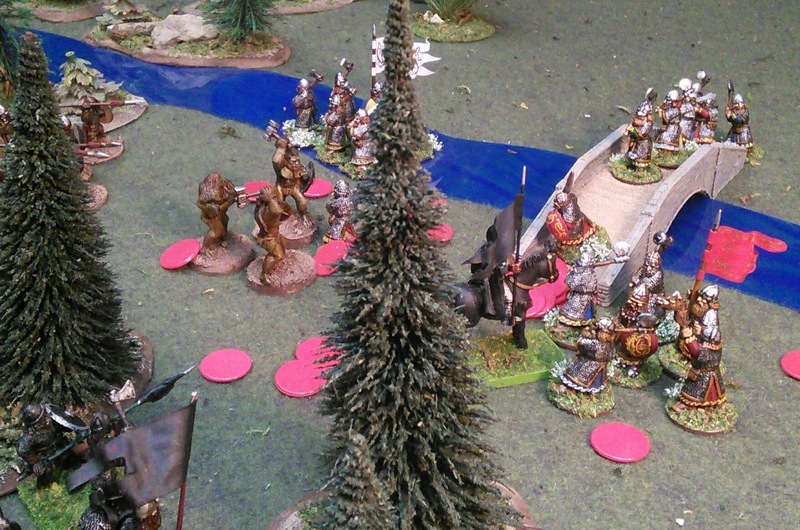 Rather than stand under the arrow storm, Baldor hefted his blood streaked great sword and charged the closest Orcs. The steel sang as it sliced through orc armour and broke through barbed orc spears and curving scimitars. The ground was soaked with the black blood of the uruks and the remnants scattered into the forest. 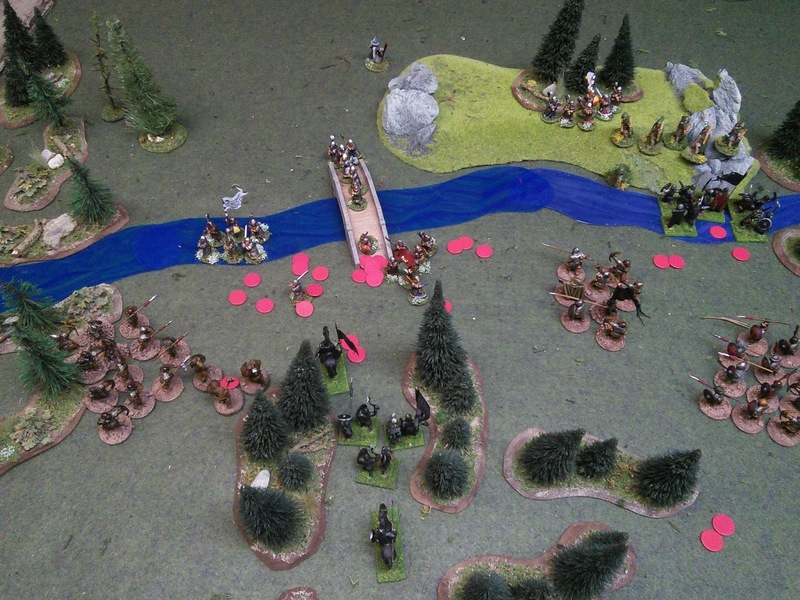 Baldor charges into the Orcs while Durin crosses the bridge. Enchanted sword vs. a bunch of rusty orc cleavers. His magic armour saved two of the hits too. 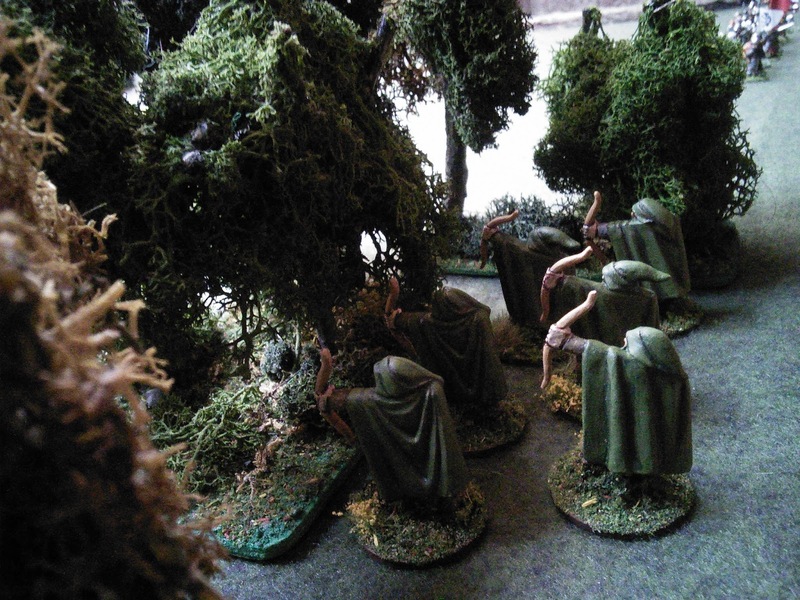 Trolls now crashed through the trees, pushing aside the panicked orcs and charging at him. Dodging the blows from their mighty hammers he felled one and wounded another causing the great beasts to back away warily. Durin only briefly thought about holding firm on the end of the bridge. He wasn't going to leave Baldor, Fundin's son, unsupported and fighting the entire enemy host alone. With his war horns sounding the attack he lead his Hall Thegns across the corpse strewn bridge and attacked the closest company of orcs. "Forth Sons of Durin!" The scarlet banner of the King met the black banner of Angmar. Arrows hissed. Swords swung. Black blood sprayed upon armoured chests as axes and war hammers smashed down. 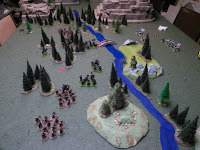 With a cry the orcs broke off, but did not run. Morithol had pushed his horse to the front by this time. 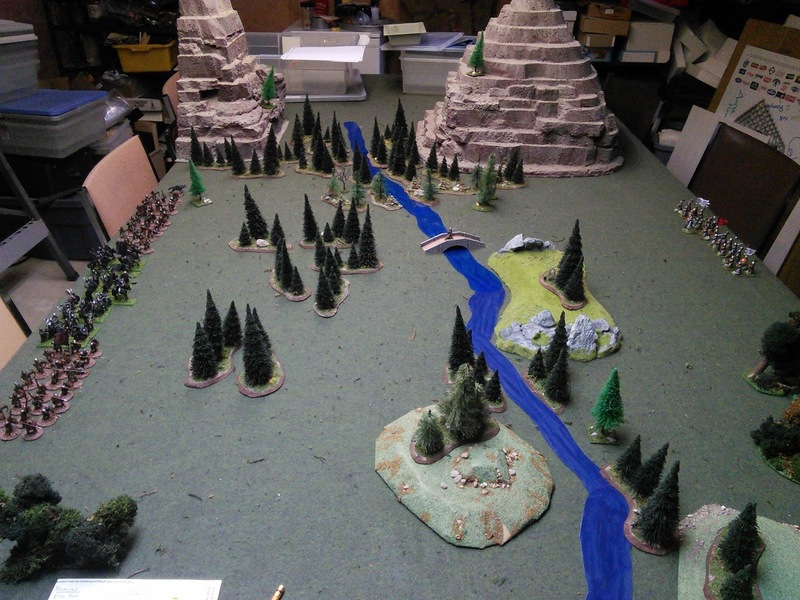 The approach to the bridge was carpeted with dead and dying men, orcs and trolls. 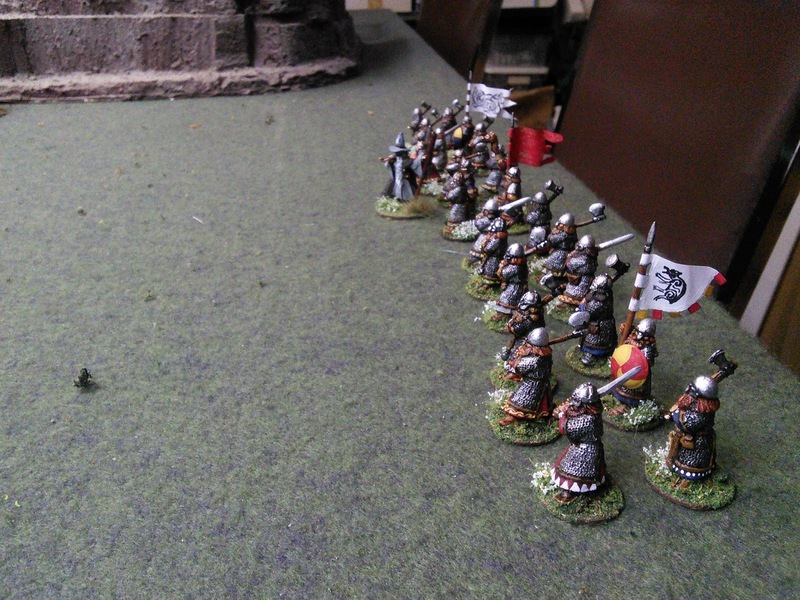 With a shriek of anger he charged at the King's Banner. His black blade, engraved with fell runes, cut a swath through the King's Thegns. Their axes pierced his armour, but he cut many down and even wounded the king, forcing Durin back to the stream edge. 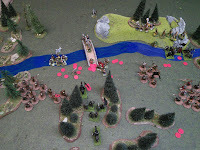 Following their Captain, the Trolls attacked Baldor again. Exhausted, he fought back. A hammer blow smashed into his shoulder as he cut another down. The remaining Trolls fled and Baldor limped back to the bridge. Fulda, son of Thain, had been trying to get into the fight. 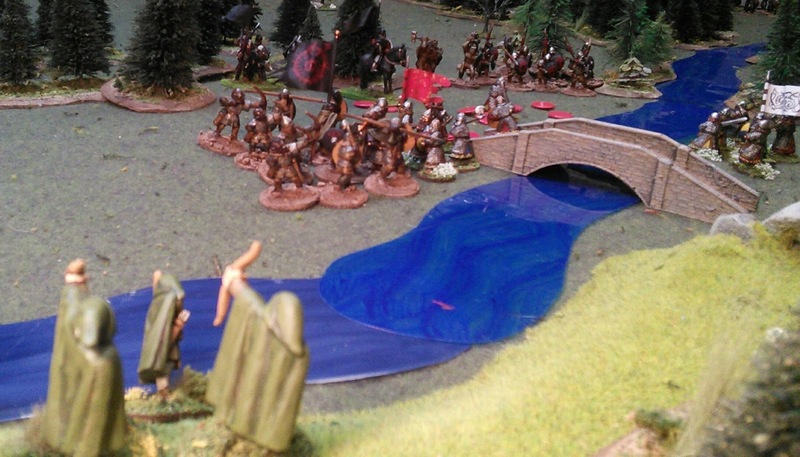 Pushing his way through the warriors marching over the bridge, he saw the King's Banner waver and fall back to the stream. "To the King!" he shouted, charging into the fray. Morithol could sense victory. If he could just crush this petty dwarf king the rest would run. The king was bleeding and pressed against the edge of the water with half of his guards dead around him. Soon his dark blade would feast. But his horse reared as another dwarf charged at him screaming a war cry. Circling he swung and stabbed. This one fought with sword and shield, deflecting his strokes and getting past his guard twice. Wounded heavily he withdrew. Looking around, Morithol screamed in rage. That damn dwarf warrior had wounded him badly. Half his army was fled or dead. The rest were wavering. He turned his horse and rode away. 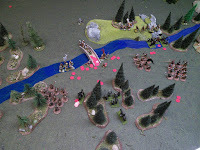 Seeing their Captain leave and with fresh dwarf warriors crossing the bridge and fording the stream, the host of Angmar fled. Baldor leaned against the bridge, smoking his pipe. It had been hard to get it lit with one arm in a sling and his shoulder heavily bandaged. He watched the activity around him. The apprentices had come up with the baggage and were busy piling the bodies of orcs, trolls and fell men for burning. Their arms were piled separately. 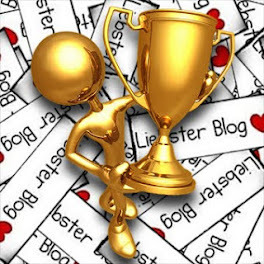 Some would be kept as trophies, but most would be taken back to Khazad Dûm for melting down. Baldor was keeping one of the troll hammers and the helmet of the first rider on the bridge. Durin's fallen Thegns were set apart, to have a mound built over them to watch over the bridge until the ending of the world. 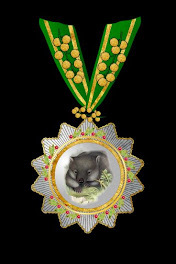 He was aware of an old man in a grey cloak and ridiculously tall hat watching him with an amused expression. He nodded a greeting and spoke around his pipe stem. "Gandalf." "Hail son of Fundin! That was fell work today." "I have you to thank for some help, I believe." "I do what I can." Gandalf chuckled. "Already the Elves are composing songs about your stand. Baldor Foehammer some are calling you." "Baldor the Bloody, more like. It'll be ages before all the gore is cleaned out of my armour." "King Durin is being taken to the House of Naleth to have the wounds from that Angmar blade treated. In the meantime I've started entrenchments at both ends. We should be able to hold the crossing for some time now." Gandalf eyed Baldor curiously. "Why here? Why not make your stand up in the mountains?" Baldor shifted so that Gandalf could read the faded runes cut into the stone "Nîm made this." "I've always liked this bridge." Game notes:. This was a BIG game. 56 points a side. 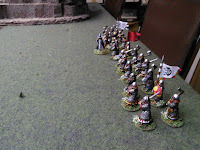 In hindsight I would split each army in two and add an extra subcommander. Too many units to have everyone stalled after a failed activation roll. The Commanding leadership reroll kept the dwarves moving many times. I used the Hold On scenario from Lion Rampant, but extended the time limit because of the bigger forces and I was just having lots of epic fun letting the narrative unfold. 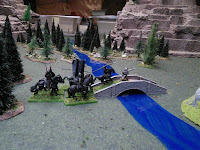 I treated the narrow bridge as rough terrain for cavalry, and then once choked with bodies it was rough terrain for the infantry too. 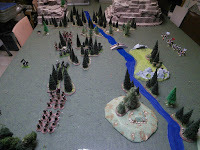 The hero holding the narrow bridge is a common theme in history that I wanted to play out on the table. Also in hindsight, Morithol's tactics were terrible. He should've used the orc archery to support a charge by the Trolls or the werewolf, who wouldn't have been constricted by the narrow bridge. 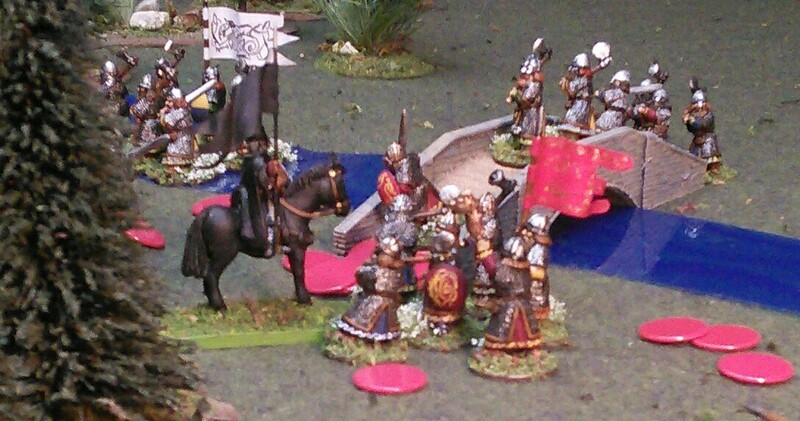 The magic armour saved Baldor several wounds. That and Gandalf casting a couple of healing spells kept him in the game. The reroll for the enchanted sword was pretty brutal too. Although Morithol's venomous blade cut a swath through Durin's guard too. Rolling three 6s in one attack hurts!